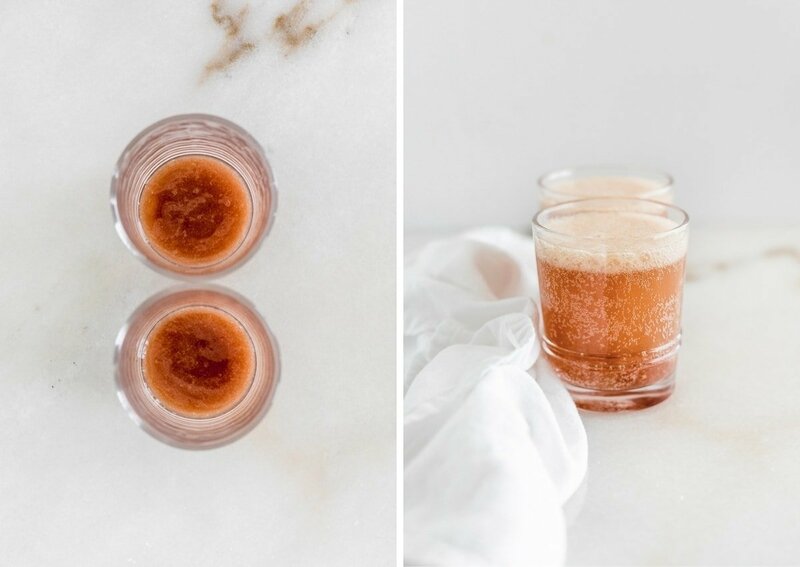 Boost your vitamin C intake this fall with this fun Elderberry Pear Fizz mocktail. This post is sponsored by Sprouts. As always, all opinions are my own. Thank you for supporting the brands that keep Lively Table running! The start of fall means flu season is right around the corner. I don’t know about you, but this mama doesn’t have time to be sick. That means it’s time to eat all the fruits and vegetables to keep that immune system healthy! Getting plenty of vitamins A and C (found in fruits and veggies) can help keep your immune system strong so you stay healthy this flu season. 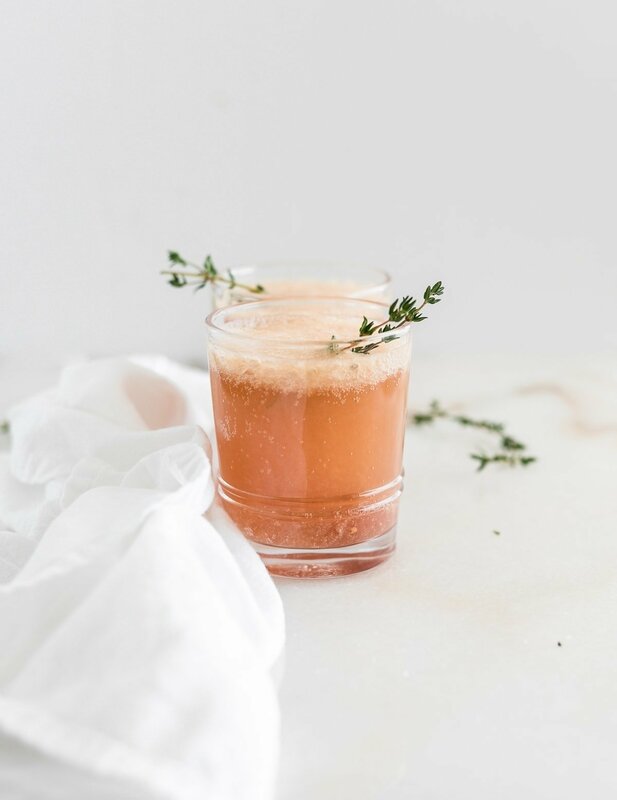 While vitamin C won’t cure a cold after you have symptoms, research shows that getting enough on a daily basis can help shorten the length of a cold and reduce the severity of symptoms. Most adults need 75-120 mg of vitamin C per day, which isn’t too hard if you eat plenty of produce or drink orange juice. But just in case you need a little boost in vitamin C, Sprouts has come out with new Vitamin C Fizzy Drink packets! Just add to water for a fizzy, fruity drink with 1000 mg of vitamin C. They’re also great to add a little extra flavor to your water if you have trouble drinking enough of the plain stuff. If you really want to step up your hydration game, try this Elderberry Pear Fizz mocktail. It’s a fun, delicious drink with benefits. I love pear in the fall, so I created a pear puree to go with Sprouts Elderberry Vitamin C Fizzy Drink. A sprig of fresh rosemary looks pretty and adds a fresh, earthy aroma to tame the sweetness. 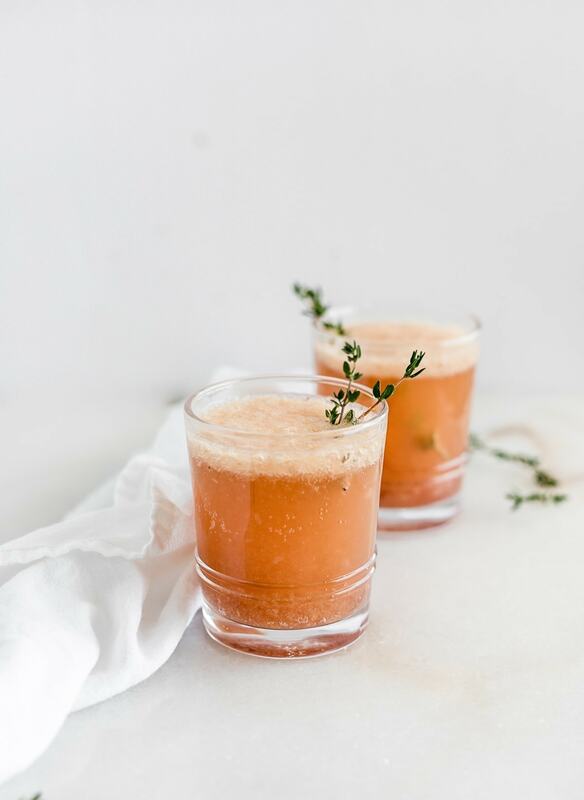 Whether you’re looking to increase your vitamin C intake this flu season, or just want a flavorful way to stay hydrated, this seasonal mocktail is for you! Make the pear puree. In a small saucepan, heat diced pear, lemon juice, honey, and water over medium heat. Gently simmer until pear is softened, about 10 minutes. Remove from heat and let cool for at least 20 minutes. Puree in a blender until smooth. In a large glass stir water and Sprouts Brand Elderberry Fizzy Drink Mix until combined. Place 2 oz pear puree in each of two glasses with ice. Top each with 3 oz fizzy elderberry mix. Garnish each drink with a rosemary sprig and blackberries.